"During our 57,000 nautical mile circumnavigation, we visited 81 countries and island nations, sailing through the Mediterranean three times. We called on Malta twice and both times had work done on Nor Siglar by James Xuereb of XS Marine Limited. The work included both electrical and electronic installations and repairs, all of which were carried out to our complete satisfaction. We were most impressed by both the knowledge and professional workmanship of James and recommend him and XS Marine Limited wholeheartedly and without reservation for any marine electric and electronic work as well as any other type of boat work." 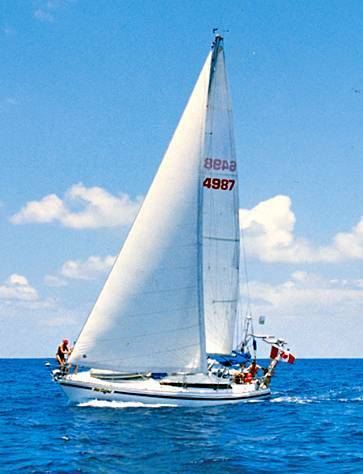 If you wish to get in touch with Anne and Martin for further references, please feel free to contact them on their website, www.norsiglar.com , which, incidentally, is full of useful information for the offshore sailor.